Who says I don’t lead an interesting and varied life? Commercial photography will always keep you guessing as to what is round the corner. The last month has given me a diverse variety of assignments. 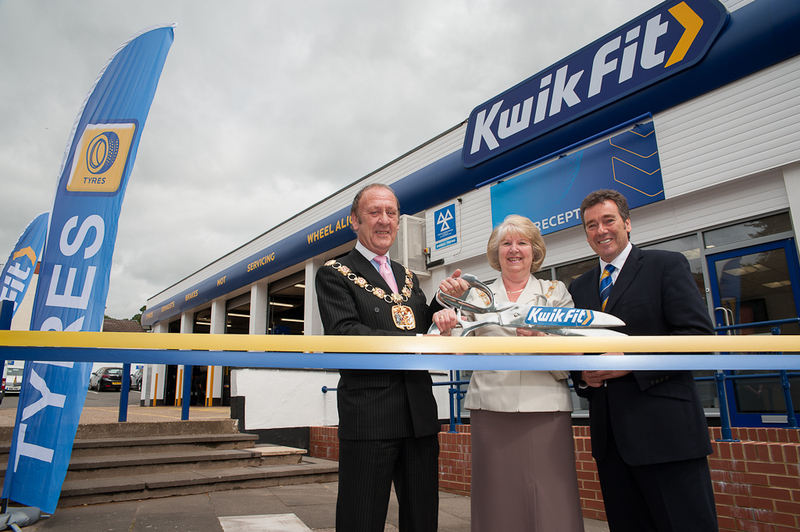 Firstly there was the launch of the recently refurbished Kwik Fit branch, opened officially by the Mayor of Wellingborough. The brief was simple: in one hour capture the Mayor’s visit, his interaction with key personnel, the branch and it’s services, the staff within the branch and the official opening ceremony. This success of this assignment relied on arriving on site with nothing but a loose brief and in a very short space of time – engaging with those involved, focussing on the key aspects of branding and customer service, making sure all required aspects were covered without holding up proceedings in any way. And then there was one of the quickest jobs I’ve ever performed – the presentation of a cheque for £500 from PetPlan to the Burmese Cat Club Benevolent Fund as part of their year-round charity programme. No fuss required, just one image, preferably with all humans and felines looking in the same direction …. Job done! And my current project is still ongoing – a large body of work for Northampton Shooting Ground. They are updating their website and marketing material and need a current and professional set of images to go with that. My aim there is to capture some of the spirit of the club, the one to one coaching, the friendly atmosphere and the state of the art equipment and overall the essence of the ground. As this is an ongoing project I will perhaps share more of this with you later …. So, no job is too small, or too large. Talk to me about a project you have coming up, it may be a one off or a longer term project, I am flexible and can discuss rates to suit. Find out more on my Commercial Page.